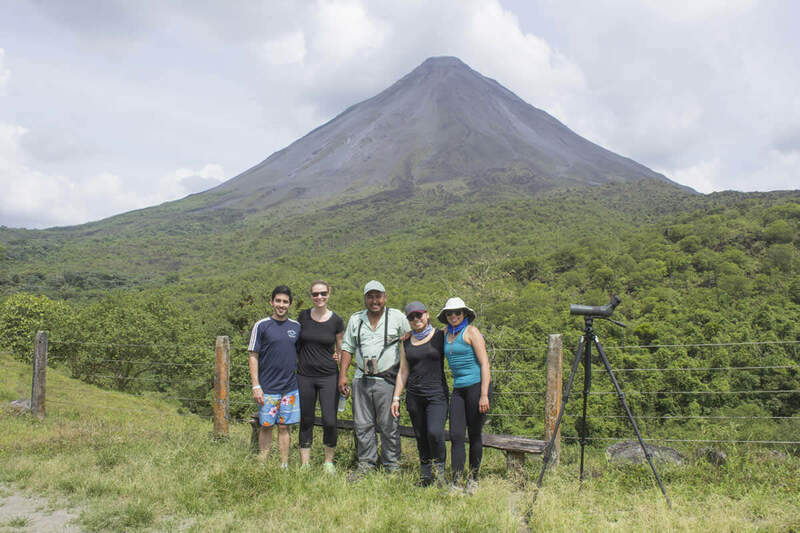 Do you have limited time in Arenal area? 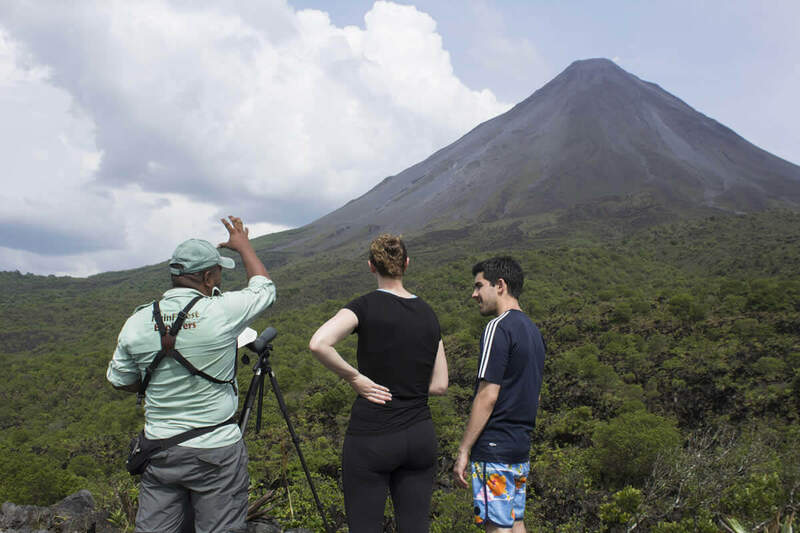 Well, this is the perfect option for you; we have designed an outstanding combination to explore the best of the volcano surrounding wonders. This tour is designed for those who love hiking and walking through the canopy of the forest, first activity consist of a nature guided hike through trails in combination with suspension bridges. Remember that you are here not only to explore but to taste the flavor of our beautiful country so at the end of your hiking a tropical fruit snack will await you around 11:30 we will be ready to continue with our next adventure; we will walk down 498 steps to enjoy and get amazed with the beauty of La Fortuna Waterfall, a perfect place to take pictures, swim in the pristine water, and look at the wonderful scene. 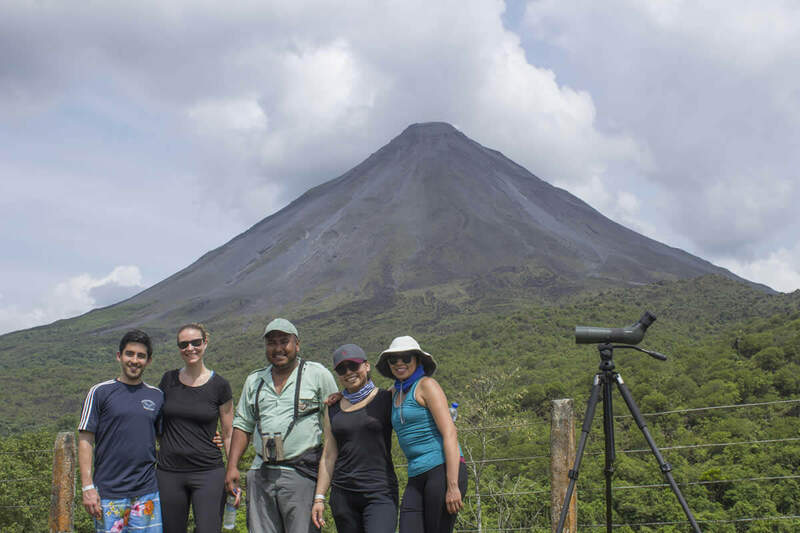 Last but not least; at 3:00pm we will start our journey to the famous Arenal Volcano National Park, combining history and biodiversity. 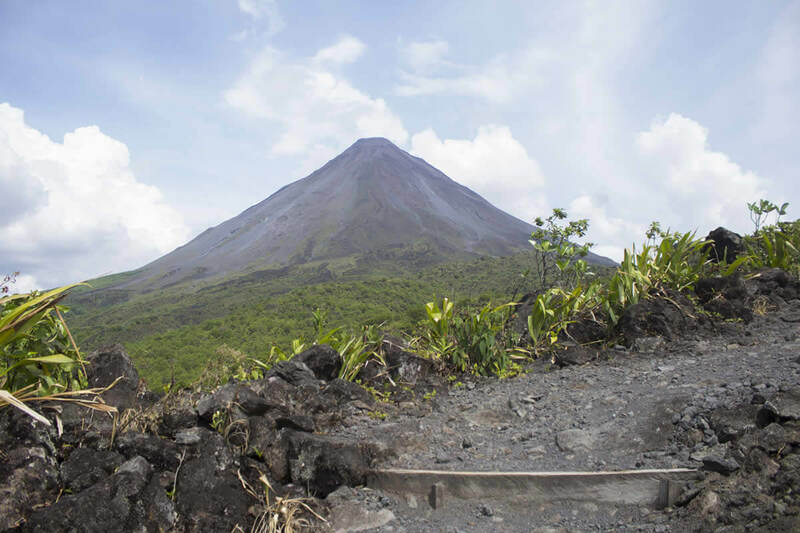 One of the trails offer the opportunity to walk through an ancient lava flow originated by a big eruption in 1992, from here you will have amazing views and pictures of Arenal Lake and Volcano from the base of it, allowing you to explore secondary rainforest and wildlife at the same time; we assure your visit will be very safe and enjoyable. It's time to bring you back to your hotel at around 5:00 pm. US $180 per person | Children under 11 pay $122,50 each. Tennis or hiking shoes (watershoes for safari float), a bottle of water, raincoat, comfortable clothes, repellent, swimming suit and camera.